Salt & Straw's latest addition is flavored with the colorful candy. Let the Instagramming commence. If you weren't already aware, June is LGBTQ Pride Month! That means thousands of organizations across the country are working to spread a message of love and support—from restaurants and local shops to national chains. And even though there's already a Big Gay Ice Cream, another famous ice cream's about to get its own Pride makeover. The frozen treat is getting a festive facelift all month long thanks to the folks over at Salt & Straw Ice Cream, which has locations in Portland, San Francisco, and Los Angeles. They've created a limited-edition flavor with multi-colored flair called Skittles Rainbow Sherbet But this isn't your average flavored ice cream. Instead, it's really made with hundreds of pounds of Skittles, which are added to the ice cream starter. Last day in LA to get our special Rainbow Skittles flavor that benefits the @trevorproject. Come on down to our West Hollywood shop! Happy #PrideWeekend! And get this: In order to get the colors to remain distinct (and not just blend together into an unsightly brown mixture), the Skittles are hand-sorted into individual colors, then added to separate starter batches, and finally layered together (again, by hand) to "reunite the rainbow." According to a press release from the shop, each scoop contains a bit of red, a bit of orange, a bit of yellow, some green, and even some purple. 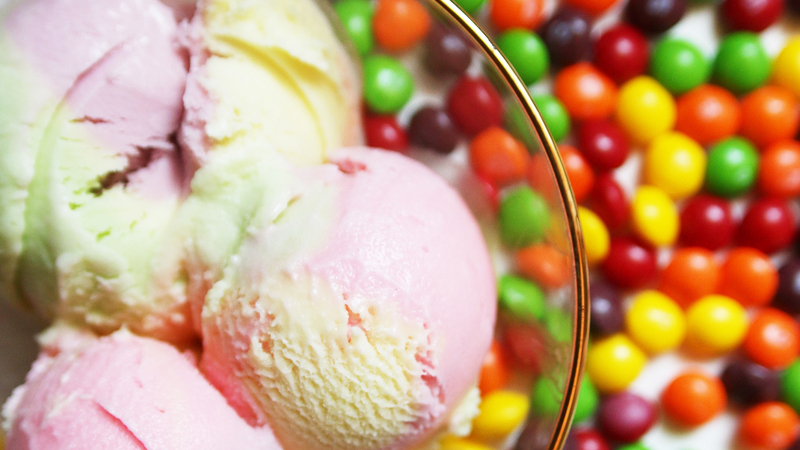 We can just hear the applause from ice cream lovers and Skittles lovers everywhere. Honestly, why hasn't anyone thought about this one before? The Pride flavor will be available "while supplies last" in Portland, Los Angeles, and San Francisco, and will conveniently coincide with each city's Pride festival. You can find it in Portland's NW 23rd location on Saturday, June 17, and in San Francisco's Fillmore location on Saturday, June 24. The flavor was served in West Hollywood on June 10th. 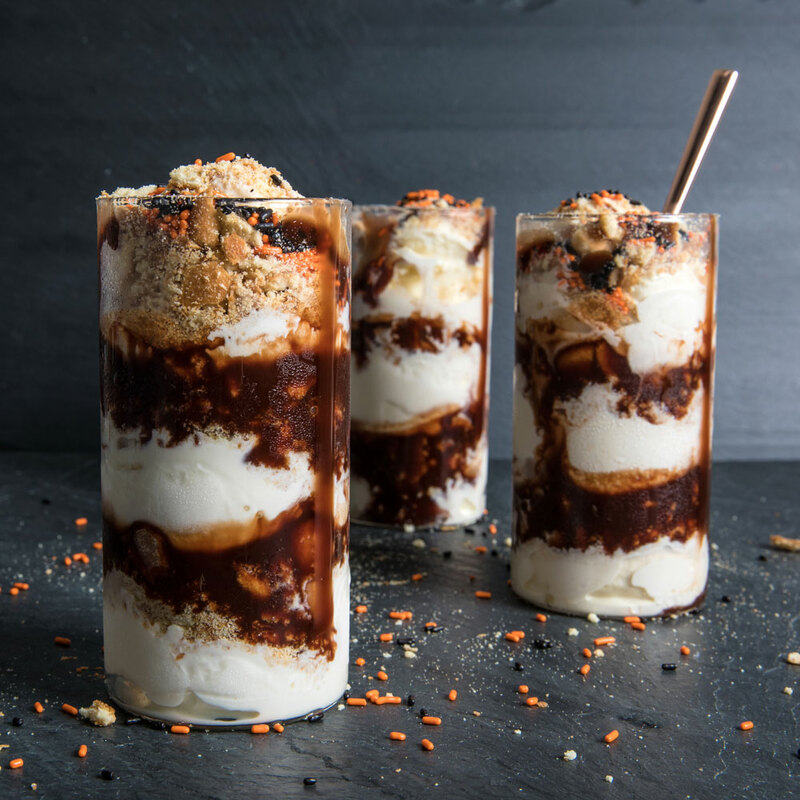 If all those good vibes aren't enough to satisfy you, there's more: The proceeds from the Skittles flavor will go toward local equal rights organizations including Salt & Straw's longtime partner, Basic Rights Oregon. Now that's a sweet way to spend the month.